Hey Bridesmaids! Customize your own tote bag with your own custom text for the big event! 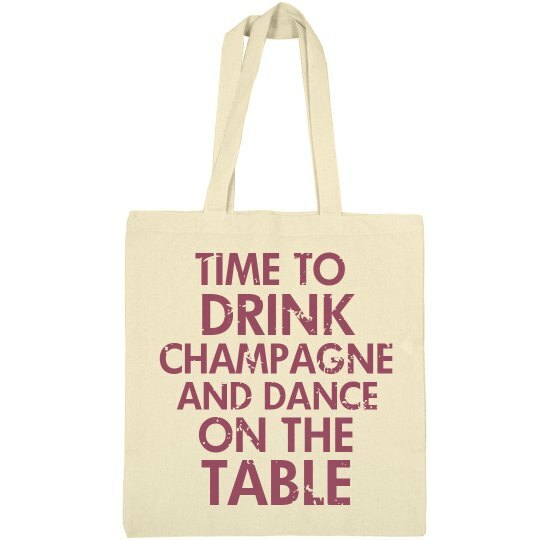 That's right, it's time to drink champagne and dance on the table!